Back in April, it was announced that Samsung would be finally releasing a new variation to the Samsung Gear Two which will be called the Galaxy Gear Solo Smartwatch. For the first time, a smartwatch is expected to be released with its own Universal SIM card. 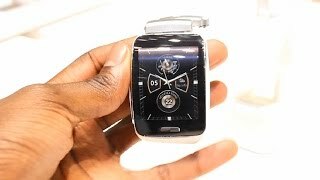 The Galaxy Gear Solo Nigeria will completely eliminate the need for a smartphone as the watch will be able to make and receive calls without being connected to a smartphone. Right now, rumors are flying that it will only be available in Korea and surrounding countries but as it looks now, Nigeria will most likely be on the list of countries it’s available in. 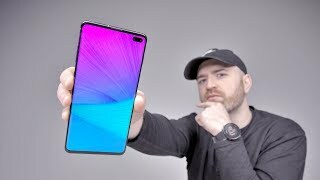 We have also heard this before with the curved Galaxy smartphone but not even a few weeks after it was released, it was available nearly worldwide. As it sits right now, all of Samsung’s watches require a smartphone to be connected for calls, texts and notifications to successfully come through via Bluetooth. Besides calls and texts, notifications such as social media and game notifications can be viewed as well as weather updates. For the first time ever, the Gear Solo has been able to release itself from Bluetooth connection and advanced to using a SIM card. The Gear Solo Nigeria is expected to be announced and more thoroughly discussed at IFA Berlin 2014 along with the Galaxy Note 4 although there’s a chance it could be released on September 3rd. Currently there are two likely options for the technology which will control the Samsung Gear Solo. Rumors are pointing towards either Tinzen or Android wear. 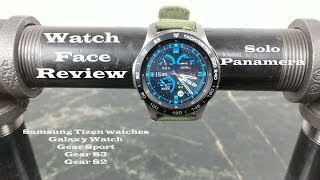 Tinzen appears to be the more sensible option as most other wearable devices such as the Sumsung Galaxy Gear, Gear 2 Fit and Gear 2 Neo are all powered in this manner. The second possibility of Android Wear is less likely as the only other device powered through Android Wear is the Samsung Gear Live. Due to the new functionality of the USIM, it may be more compatible with the Tinzen OS opposed to the voice control centered Android platform. There is not much confirmed information regarding the actual specs of the Gear Solo but it is definitely expected to have 3G capabilities. It is almost certain there will not be 4G LTE capabilities which makes it less practical as a replacement for a smartphone. 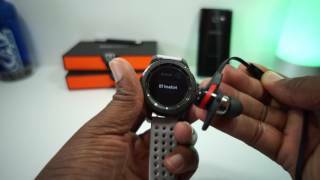 It may be similar to the Gear Live which has a 1.63 inch AMOLED display as well as being waterproof, “Ok Google” voice commands as well as 512 MB of RAM and 4GB of internal memory. As an added bonus, a built-in heart rate monitor and a pedometer as also expected to be included in the watch. As far as advancements with Smart Watches, the Samsung Gear Solo is expected to be one of the best options available. For the first time, you are able to connect the watch using a USIM card and receive calls, texts, and notifications without being tethered to a smartphone. It should also be able to connect to 3G which will allow for social media notifications as well as weather updates. If you are in a region where this will be released such as Korea or Nigeria, this is easily the best option. 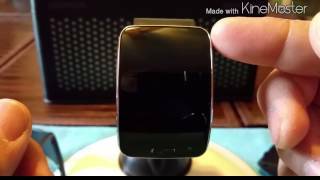 The galaxy gear solo Smart Watche is manufactured by Samsung and was added around November 2016 and is part of the Samsung Galaxy Gear Solo series. 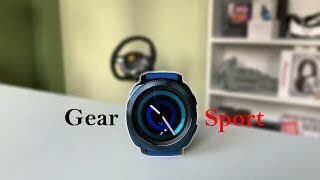 Samsung Gear S Hands-On Review!